Systemates recently rolled out the latest version of its construction project management software: Projectmates V 10.5. The latest version, which touts over 40 enhancements, demonstrates Systemates' continuous effort to mature Projectmates, address specific customer needs and proactively create industry solutions. Systemates and Informative Graphics Corporation have partnered to fully integrate IGC's Brava document viewer and markup software into Projectmates web-based construction project software. The new partnership combines Projectmates' anywhere access to project information with Brava's any type access to files. With its 100% web-based platform, Projectmates will allow the City of Tacoma's construction management staff, design consultant teams, and contractors to collaborative online and to benefit from improved response times on construction workflows like RFIs, submittals, and change orders. Systemates today announced QuikTrip Corporation as the newest client of its construction management software, Projectmates. QuikTrip chose Projectmates to manage its new store construction and renovation program, adding to its already over 550 convenience stores. 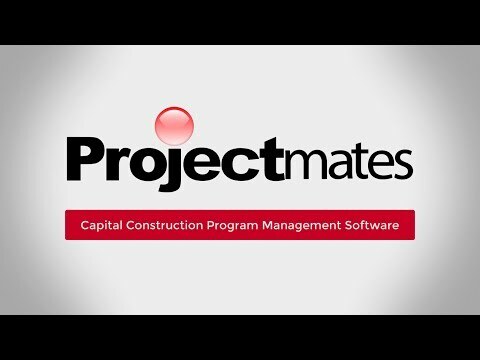 With the newest release of Projectmates 10.2, Systemates continues to offer the best enterprise-level construction management software based on usability, features, and pricing. Projectmates 10.2 offers enhanced cost management scheduling, vendor management, customizable business process automation, and integration with financial/accounting software. Systemates and OxBlue have partnered to integrate OxBlue webcams into Projectmates, the award-winning construction management software. Owners and project executives already equipped with Projectmates now have the added ability to be virtually present at any jobsite.